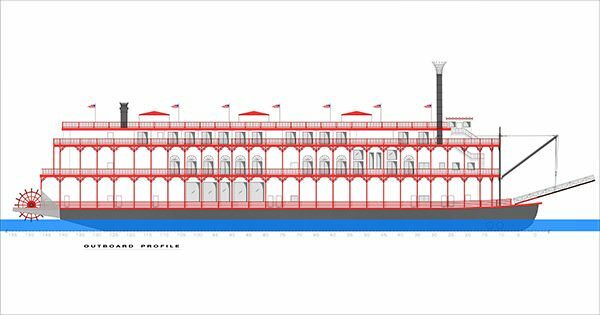 The American Queen Steamboat Company will take delivery of its second ship on the Mississippi this coming summer. The 166-guest American Duchess will join the line’s flagship, the 436-guest American Queen in offering river cruises along the Mississippi River when she enters service in June. She’ll bring AQSC’s total fleet to three, which includes the 223-guest American Empress, which makes her home on the Columbia and Snake Rivers. There’s something else that’s very noteworthy about the American Duchess: she’ll be the first all-suite ship on the Mississippi River. Company president Ted Sykes says that the new ship is essential to its Mississippi operations, as demand begins to outstrip capacity. “Demand for more capacity on the Mississippi River has been overwhelming the past two seasons and we look forward to delivering a new boutique, all-suite experience and the flexibility of two riverboats sailing between New Orleans and St. Paul,” he remarked. The ship will be built upon an existing hull (constructed in 1995) which vastly improves the economics of building a small ship destined for the Mississippi River. More important, however, is the distinction that the American Duchess has been purpose-built to be the first boutique paddlewheeler, with the largest suites on the Mississippi. When American Duchess enters service, she will sail a wide array of Mississippi itineraries, including the line’s first departures from Ottawa (Illinois, not Canada), which isn’t far from Chicago at the confluence of the Illinois and Fox rivers. In addition to the ship’s longer sailings, a series of shorter itineraries will be available from Nashville and New Orleans. Because American Duchess will be an all-suite ship, expect prices to be higher across the board than those on the American Queen, which features a variety of economical inside and riverview staterooms that are (relatively) inexpensive, as far as Mississippi river cruises are concerned. Aboard American Duchess, guests can relax in river splendor. 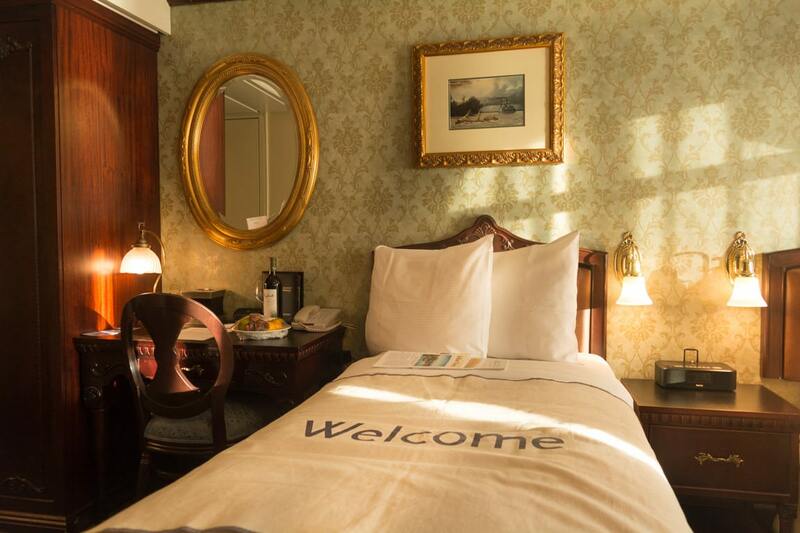 The ship will feature three, 550-square-foot Owner’s Suites; four Loft Suites that will be a first for riverboats in the United States and will also measure 550 square feet; and the standard Veranda Suites that guests have come to know and love. Curiously, American Duchess will also feature Inside Suites that lack river views, but these, too, will be spaciously sized. The idea is to have American Duchess offer a more upscale, boutique experience from stem-to-stern. To that end, she will feature two elegant dining venues: the Grand Dining Room and The Grill, both of which will have menus similar to those already offered aboard American Queen. Additional bars and lounges, along with a show lounge, round out the mix of public venues. While American Queen still reigns supreme in terms of classic river cruising grandeur, American Duchess gives the American Steamboat Company an entirely new product to market on the Mississippi. Upscale, spacious and marketed to discerning guests that would feel at home aboard lines like Crystal or Tauck, the American Duchess opens up a new world of possibilities for the line – and for river cruisers from the United States and abroad. She sets sail this summer, and we’ll have the latest on her construction and launch right here on River Cruise Advisor.